Legislators visit schools all the time, and as a longtime reporter, I can tell you that it’s typically uneventful stuff. 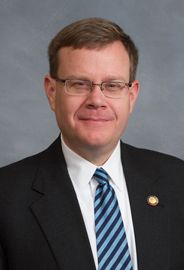 But here’s a fairly interesting report from Wednesday’s Wilkes Journal-Patriot of N.C. House Speaker Tim Moore’s visit this week to an elementary school in Wilkes County, during which the speaker apparently got a chance to view a teacher assistant lead the classroom. Given the job scares TAs have withstood in recent years, including last year’s hotly contested Senate proposal to ax 8,500 TA jobs, Moore’s visit is relevant. According to the Journal-Patriot, Moore, a Republican from Cleveland County, was visiting the school as part of a tour to assess the value of North Carolina’s new letter grading system for assessing school performance. Locals hoped to make the case for amending the grading system, claiming it focuses too much on testing performance and not on student growth. We can expect this will be a topic of interest when the General Assembly reconvenes in April. However, according to the paper, one of the tour’s most interesting moments came when Moore watched a TA at work. Education advocates often tout the value of teacher assistants, employees who often juggle multiple classrooms tasks for very moderate pay, yet TA positions are often on the cutting block during budget negotiations. It’ll be interesting to see whether we can expect a less chilly reception for teacher assistants in the General Assembly this year. Previous PostRSVP today for lunch with one of America’s top pollstersNext Post Are Duke Energy and the McCrory administration committing a human rights violation?